This is a beautiful smaller sized (1/2" dia. x 5" long) fountain pen clad in rib fruited Mallee from Australia. Fittings are of rhodium plating (which is extremely scratch resistant) with 22k gold accents. 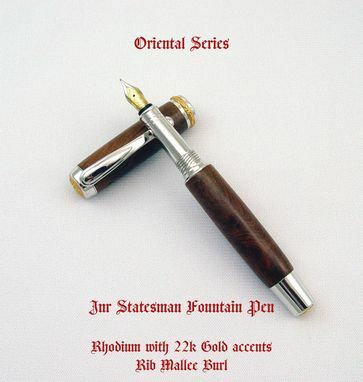 It sits very nicely in the hand and with the German made nib allows for a very smooth and effortless writing experience. 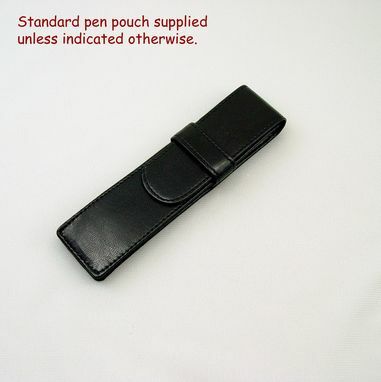 This pen comes with an attractive black pen pouch and two 'Private Reserve' ink cartridges.